Posted February 10, 2019 3:27 pm & filed under California Native Plants. 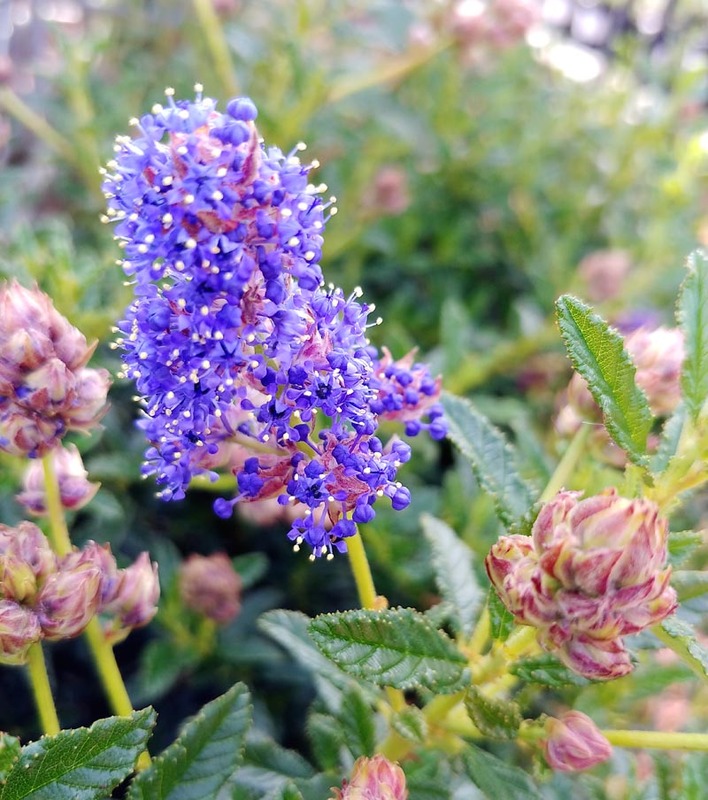 The Ceanothus are blooming – nice regular winter rains, not too cold. California Lilacs for Everyone! Small glossy dark green leaves and medium blue flowers sweetly scented in spring. Slow growing. Handles clay soils.